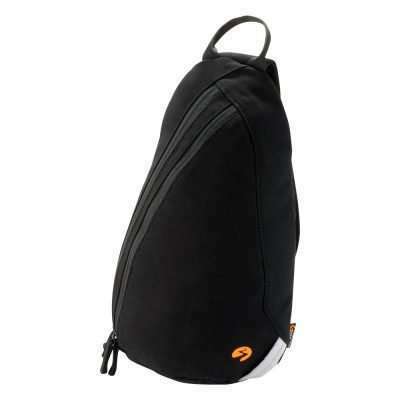 A small hip pack to protect your valuable travel essentials – concealed easily against the skin. Whether worn under or over your clothes, our Hip Pack is built tough for travel, work or leisure. It’s compact size carries all your essentials – passport, Smartphone, small camera, wallet and keys. Lined with water resistant material and cotton canvas the Nomad Essentials™ Belt Bag provides continual comfort- even after days of trekking up the mountains of Machu Picchu or after sweating it out at crowded markets in S.E Asia. It gives you the peace of mind that your valuables are safe and sound from weather, pickpockets and from getting lost in the bottom of your carry bag. Once your bag is on and your gear is packed enjoy the weightlessness of hardly carrying anything at all – no more babysitting your shoulder bag or being weighed down by every pocket of your jeans filled with gear. Feel the freedom and convenience of travelling light and being hands free. One of my favourite possessions. I have worn my belt bag most days since I bought it at Confest in 2016. Really comfortable, adjustable. It’s pockets when your clothes don’t have any. It’s a minimalist handbag, perfectly fitting your phone, wallet keys, snacks, jewellery etc. It’s a tool belt, I’ve kept wrenches, secateurs (they poke out, but the Velcro flap keeps them still) etc. Dance, move, run, jump in and out of the car, plane, boat, all your essentials are there (passport can be hidden in the pocket closest to your body, and I’ve forgotten). Gotta say though, the Velcro stopped being secure and I was going to SE Asia so I sewed it closed and it’s still the best thing. If you’re considering it, do it. People will point out your “bum bag” but you won’t care because this utility belt will bring you bliss daily. Trust. This is the perfect size bag for my everyday carry essentials such as Samsung Note 4 cellphone, earphones, wallet, cash, and keys. I carry the bag across my chest, it give me a feeling that all my personal items are safely secured to my body. It is my grab and go bag. Throw in your passport and your flight tickets, and you are ready to fly. It’s well made and the materials are great. I love my nomad hip pack! I bought it for festivals, but also use it for nature sketching, keeping my pencils very handy! It’s sturdy and the perfect size! The Nomad Small Hip pack is ideal for carrying my iPhone 6s plus (tight fit but easy to remove and insert), as well as a small portable battery charger and cable. I cycle in urban Auckland so it’s my grab and go bag. I would recommend this Nomad bag. Well made. Good design. Fits well. Excellent hip pack. Durable for my day to day activities. Work, school, casual, working out. Probably the best hip pack I’ve ever used. Well made! Beautifully designed,beautifully made. Comfortable and practical, looks great. Love it! Ultra Durable 100% Cotton 12 Ounce Canvas, Pre-Treated With Our Environmentally Friendly C6 Water Repellent.